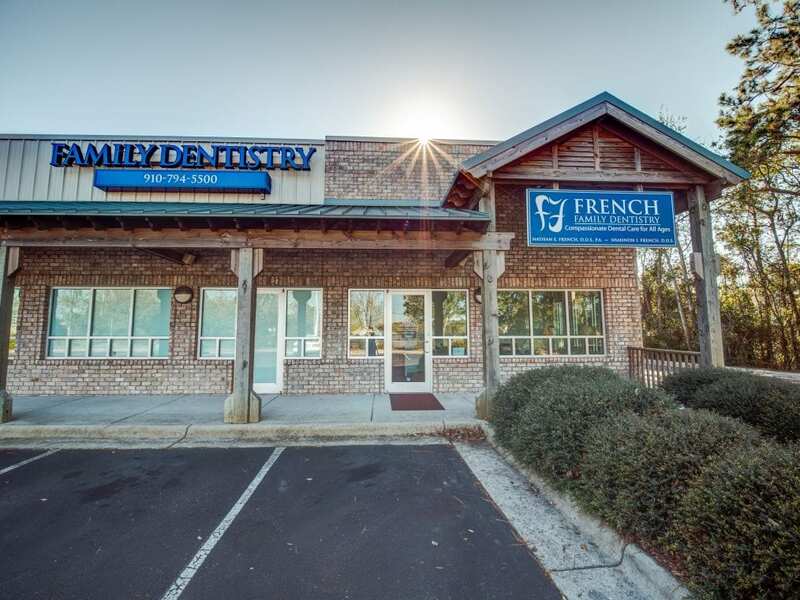 Dr. French has a fellowship with the International Congress of Oral Implantologists. He is certified to place implants in house saving you time and money. 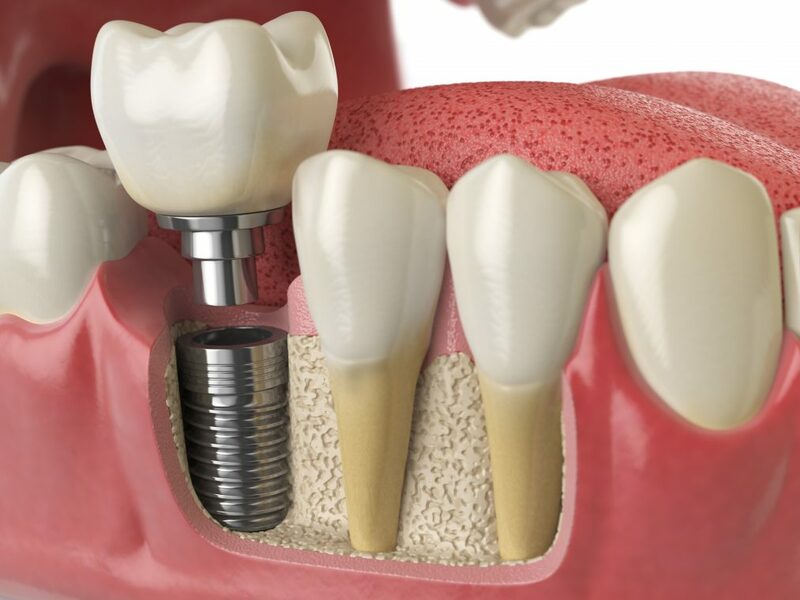 We use implants from companies such as BioHorizon, and Zimmer to help capture the complete smile you deserve. Implants are used to replace a missing tooth for both functional and cosmetic reasons. They are a safe alternative to crowns, bridges, partial dentures, or dentures that look and feel like natural teeth. 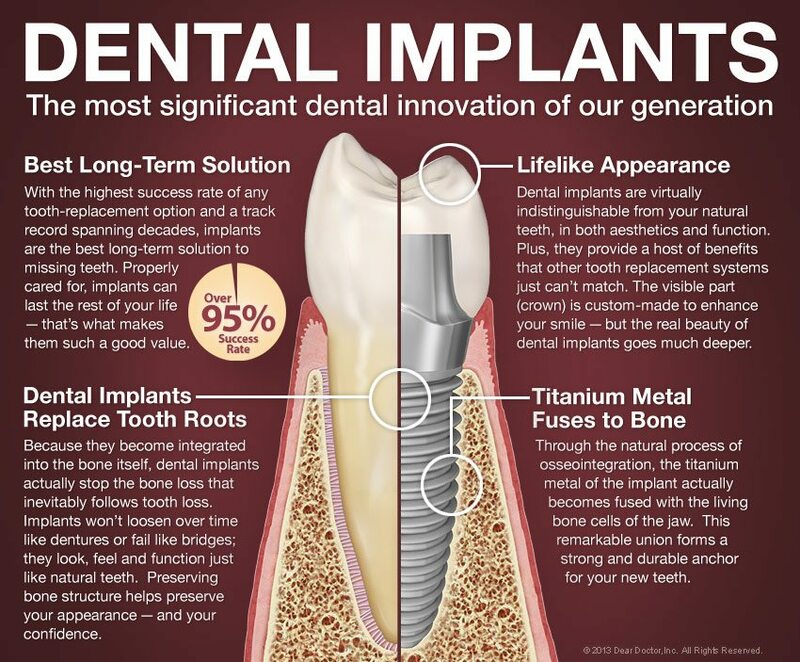 Implants focus on the replacement of a tooth. The basse is placed in the bone and fuses acting similarly to the structure of a nature tooth’s root. Alternatives to an implant would be a bridge or a partial. With a bridge you have to grind down the two adjacent teeth and cover both with a crown to hold the prosthetic tooth between them. A partial or a denture requires you wearing a retainer that has to be taken in and out every night and cleaned. Implants are a permanent structure that never have to be removed and can even be flossed like natural teeth. Can you replace an entire arch with implants? Absolutely! When you are missing all of your teeth, top or bottom, we are able to use implants to replace these teeth. However instead of placing up to 16 implants, we would place up to 5 and have the dentureattach to the implants. This denture can by fixed or removeable, but even when removable, the denture has a solid structure to grab hold of instead of you having to fight with your dentures falling out or messing with sticky adhesive.